TORONTO (CNS) — The path to reconciliation between Canada and its First Nations’ people will ultimately be a long journey, but the road to healing a schism developed over 400 years needs to start somewhere. The Canadian Canoe Pilgrimage is a small starting point that organizers hope can advance the process. A project of the Jesuits in English Canada in response to the Truth and Reconciliation Commission, the pilgrimage set off from Sainte-Marie Among the Hurons in Midland, Ontario, July 21 on a monthlong, more than 500-mile canoe journey expected to end Aug. 15 at the Kahnawake First Nation near Montreal. The project, two years in the making, has brought together different cultures in an example of how to foster respect, trust, dialogue and friendship. The goal is to have the diverse core group of 30 indigenous and Jesuit paddlers — with others joining at stops along the way — become immersed in each others’ customs and traditions for an entire month. The journey will take paddlers along a historic route traveled by Samuel de Champlain, St. Jean de Brebeuf and other pioneers alongside their First Nations’ guides. From Midland, the group will follow the shores of Georgian Bay to the French River and move inland toward Lake Nipissing. Crossing the lake, the pilgrimage will paddle along the Mattawa River to the Ottawa River, then down to the St. Lawrence before finishing in the Montreal area at Kahnawake. The relationship between Canada and its indigenous peoples has been long and complicated since the first Europeans arrived four centuries ago. While the colonizers found wealth, indigenous nations became mired in poverty and still suffer from its corresponding effects. Among many wrongs, perhaps the greatest was the Indian residential schools system that saw indigenous children taken from their families and placed in government-funded, church-run schools. The purpose of these schools was to assimilate indigenous youth into European culture by separating them from their familial and cultural roots. The Truth and Reconciliation Commission ran for six years and gathered the written and oral history of the residential schools to begin a process of reconciliation between indigenous people and the rest of Canada. Its final report in 2015 included 94 Calls to Action, many of which focus on education. Kelly said he believes the simplicity of the pilgrimage is what makes it so powerful. While a number of First Nations along the route will be welcoming the pilgrimage, hosting the group overnight, holding celebrations, sharing their customs and accommodating Mass, others are casting a cautious eye toward it. While they will allow the group to stay on their land, they will not be drawing any attention to the paddlers. 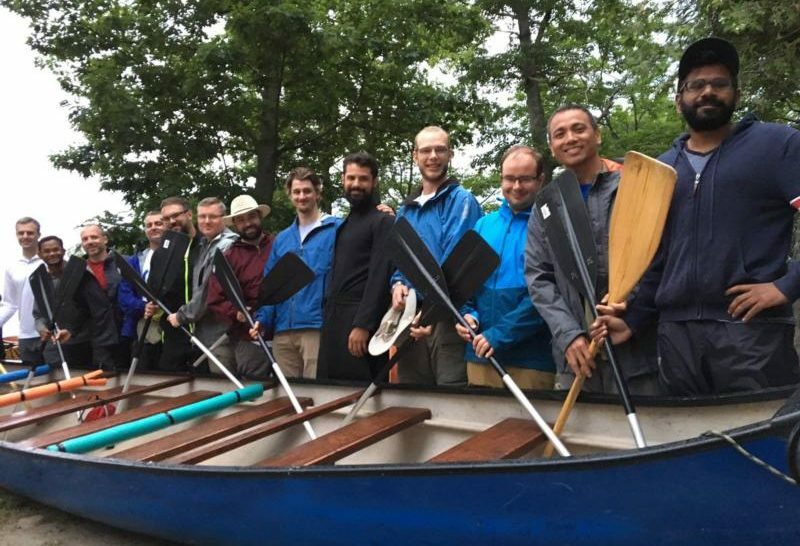 “It’s in a single activity like this, being together for a month, figuring out how do you canoe, camp, struggle through challenges, struggle through hard work, fatigue, that’s where you get to know the other,” he said. Conlon writes for the Toronto-based The Catholic Register.